Smoothing out the lines to a crisp and fresh clean. As her childhood and your protective love. 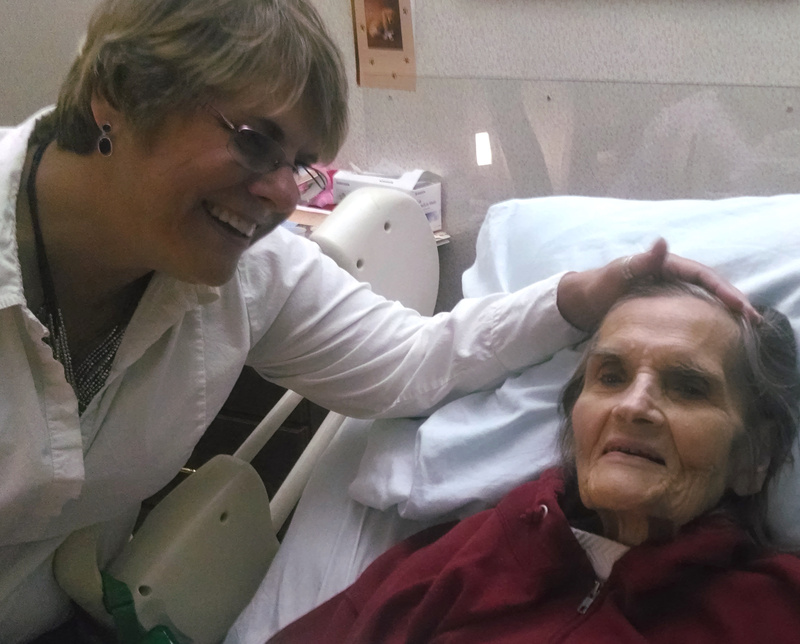 The author with her mom when Carol visited to say goodbye. Saturday, 21 June 2014. Falls Church, Virginia. This entry was posted in Photo, Poetry and tagged chores, daughter, death, family, gratitude, grief, love, mother.